Individual tickets are $9. Some special events, such as Opening and Closing Nights and the Mid-Life Achievement Award presentation are more. Tickets for specific screenings can be purchased by visiting the 2015 film listings. You will also be able to purchase individual tickets in advance at the MIFF box office at Railroad Square Cinema starting July 8 or at the venues shortly before show time. The box office is open from 2-7 pm on weekdays and 12-7 pm on weekends. Online ticket sales will be limited to 50% of available seating to allow room for pass holders and at-door ticket buyers. A Partial Pass is a punch-card good for 10 admissions (up to 2 per show) and may be used at any festival screening, including special events. 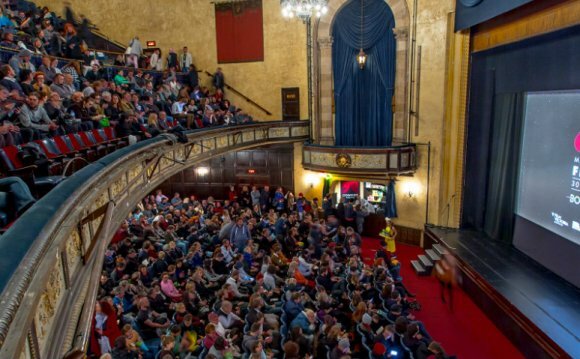 Partial passes may be purchased at the MIFF box office at Railroad Square Cinema (see above for hours) or at the Waterville Opera House during regular festival hours. A Full Festival Pass is a nontransferable pass that admits one person to any festival screening, including special events. Once the full schedule is posted in June, Full Festival passholders may reserve tickets to specific screenings online via this website. Full Festival passes may be purchased at the MIFF box office at Railroad Square Cinema (see above for hours). * Passes purchased before July 1, 2015 will be mailed to the customer unless the customer indicates a preference for will call. Will call will be located at the MIFF Box Office in the lobby of Railroad Square Cinema (17 Railroad Sq., Waterville) and will be open from 2-7 pm on weekdays and 12-7 pm on weekends.